Routine Bed Bug Inspections a Must to Avoid an INFESTATION! Routine Inspections a Must to Avoid an INFESTATION! The days of waiting until someone reports a bed bug bite or sighting are gone. The most important aspect of preventing infestations is finding bed bugs or evidence of them when first introduced to an area through routine bed bug inspections. This arduous task can be tricky because of their remarkable ability for hiding where they cannot be easily found. 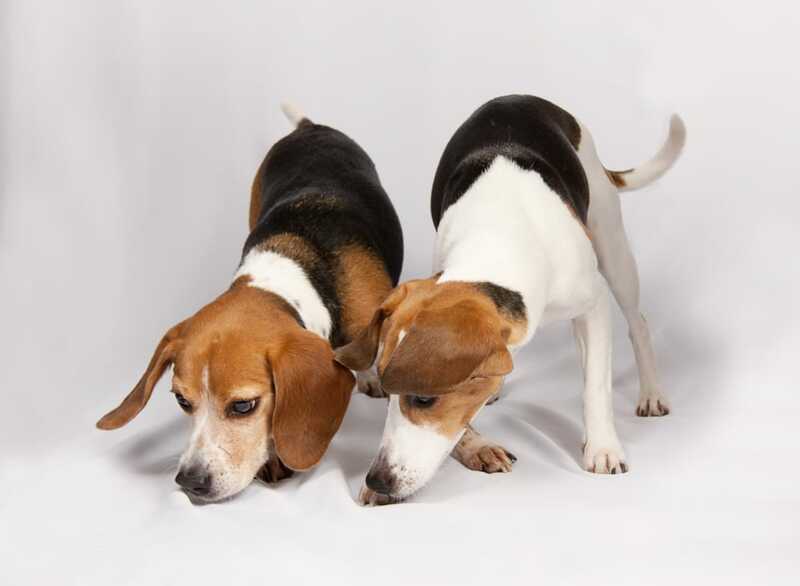 Even the most educated professional, sophisticated inspection gear, monitors or gadgets pale in comparison to the skills of a well-trained canine detection team doing routine bed bug inspections. ‘Infestations” don’t have to happen! So many people think they will never get bed bugs. If you are dealing with an infestation, it means that you did not check for bed bugs regularly. An “infestation” is not one or two bugs; by the International Bed Bug Resource Authorities (IBBRA) definition. That it’s considered an “occurrence” but can easily grow into an infestation if not addressed early. We educate people so that they look for signs of bed bugs regularly. So if you’re not familiar with bed bugs, their nature, and signs, please read through this article. If you experience a bite or two, here and there, is it always smart to investigate. Most people assume bites are from familiar insects like fleas, mosquitoes or spiders and tend to not check any further. Then, there are those who are not affected by the bites of any insect who need to be checking even more often than those who are. It can be as simple as sitting (anywhere) on a chair or couch. A bed bug can find its way on your clothing which you bring back to your home. It then crawls off and finds its way into your bed for its next blood meal. It will then hide to digest its meal, only to come out and feed again in five to seven days. A female bed bug hitchhiker will lay a bunch of eggs every few days or so that begin to hatch in seven to ten days. These baby bed bugs (called nymphs or first instars), will need to feed between each five stages of their development. This normally take approximately twenty to thirty six days. With regular blood meals and proper temperature (which our homes provide), they now become breeding adults. If these bugs are not noticed during this time, the amounts of bed bugs continue to grow thus creating an “infestation”. So as you can see, one bed bug isn’t an infestation but in a couple of months can become one. How can you find bed bugs early – before an infestation can develop? Learn bed bugs favorite hiding places. They are called bed bugs for a reason. They like to be close to where they are receiving their blood meals. That is usually your bed or anywhere else you may sleep or rest without moving for extended periods of time. Often, you will read articles that explain a multitude of places where bed bugs are found. Usually, because an infestation has developed they dispersed or spread to other areas of the home. An informed client is our best client. We are here to do just that – inform you. With such busy lives, we know inspecting for bed bugs is a real pain. So, making it a routine will save you from a serious and costly pain in the future should you develop an infestation. We’ve been providing routine bed bug inspections for hotels, multi-unit properties as well as senior care facilities, schools and busy households for close to a decade. If in the event, you or a family member is experiencing bites and you cannot find any evidence, they might be hiding where you’re not looking. Give us a call and we will bring in our highly trained canine team to find out if you have bed bugs. Finding bed bugs early will help target treatment areas for easier elimination. We can give you that Peace of Mind and help direct you to knowledgeable ways of eliminating them. Please read about the value of bed bug detection dog teams and how they help keep you clear of bed bugs on our web site www.massbedbugbusters.com And please feel free to reach out to us for any bed bug education! We are always here to help.